This book has the worst love triangle of all time. Need I say more? I feel towards this book what I did in White Hot Kiss: Mostly likeable, sometimes enjoyable, never boring. I’m afraid this will be more like a rant than a review. I still don’t like Layla, and I think my dislike is quickly turning into hate. In addition to being too girly, too whiny, and too childish for my taste, she’s also too dense. I didn’t really see a character development in this book. She’s still the same. It’s very annoying how little faith she had on Zayne when he had so much faith in her. They supposedly grew up together, so shouldn’t she know him better by now? She is very irritating. I don’t know where she got her fears and insecurities when it came to Zayne. I still love Roth. And Bambi. And I’m coming to love the demon kittens, too. Words still wouldn’t do this demon justice so I won’t even try. I don’t have anything to say about Zayne except, poor guy. He was never a choice, at least I didn't think so from what I've read. I don’t understand how there can be a love triangle. It was so obvious, especially in this book, that Roth was it for Layla. I don’t understand why there had to be confusion and voting who would be her happily ever after. No, I’m not being biased because I’m team Roth. If you look at it closely, you’ll realize that Roth was really it for her. It was so obvious that she felt for the demon prince was so much more powerful than what she felt for the Warden. What she felt for Zayne wasn’t as intense as what she felt for Roth. It looked like all along, she was the one who thought of Zayne as her big brother instead of the other way around. I still enjoyed reading the action scenes. I still have a love-hate relationship with this series. 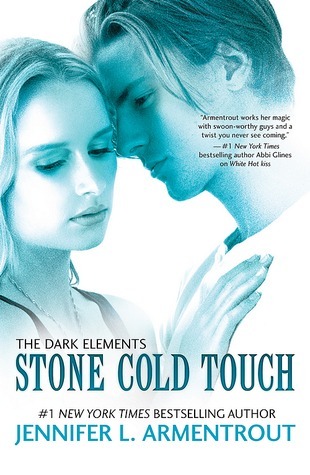 I think the thing is, this series (so far) is the typical Armentrout book. I have read all of it from her other paranormal/fantasy series. I keep hoping that I’d see something different, but meh. Still, I like her writing for a light read.